NEW! 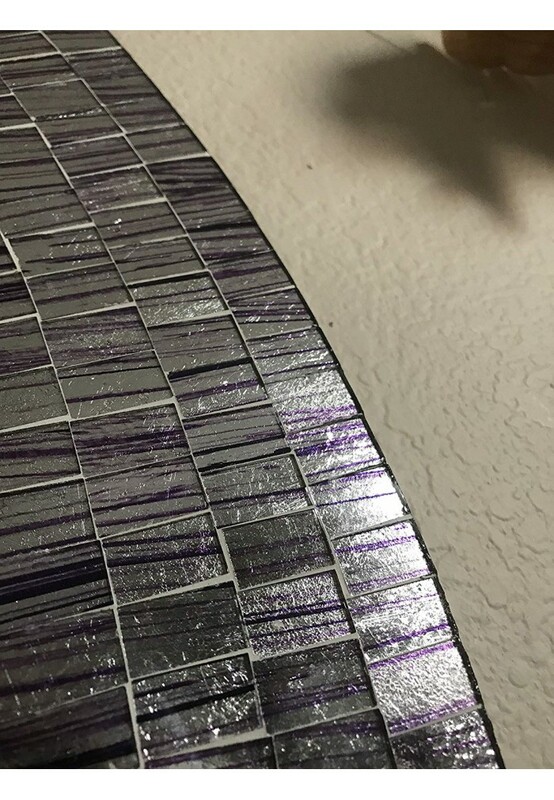 The perfect wedding gift or housewarming gift - 32" Oval Decorative Glass & Wood Framed Wall Mirror features artist designed shimmering metallic silver and ultra violet glass mosaic, 2018's hottest interior color pick. 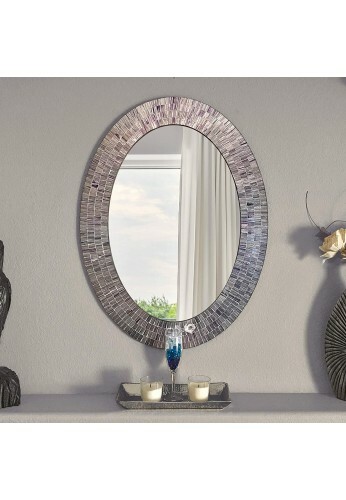 Handmade and unique, this mirror reflects light and illuminates the playful shimmer of colors contained within each piece of handcut glass mosaic tile. 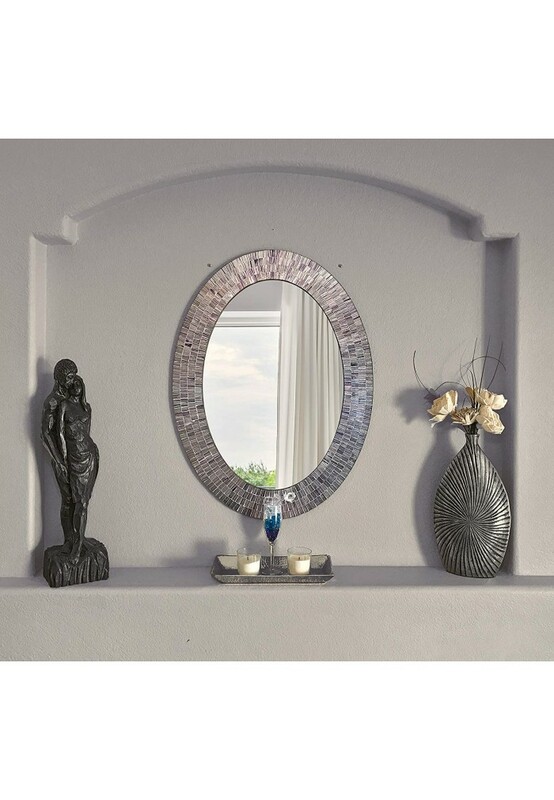 Artistry in home decor accents has never been more evident than in DecorShore's Bohemian Rhapsody Purple Rain Mirror . With this oval-shaped wall mounted mirror, every monotonous wall will come to life while displaying a spectrum of shimmering color. Perfect accent mirror for bedrooms, living rooms, hallways, craft rooms, foyers, offices, kitchen, reception areas, teen rooms, dorm rooms or for use as a vanity mirror! Be wary of other affordable decorative mosaic mirrors that are composed of sheets of mosaic stickers. Our decorative mirror is composed of genuine glass mosaic and each piece is hand set for the ultimate piece of artistic, luxury decor. 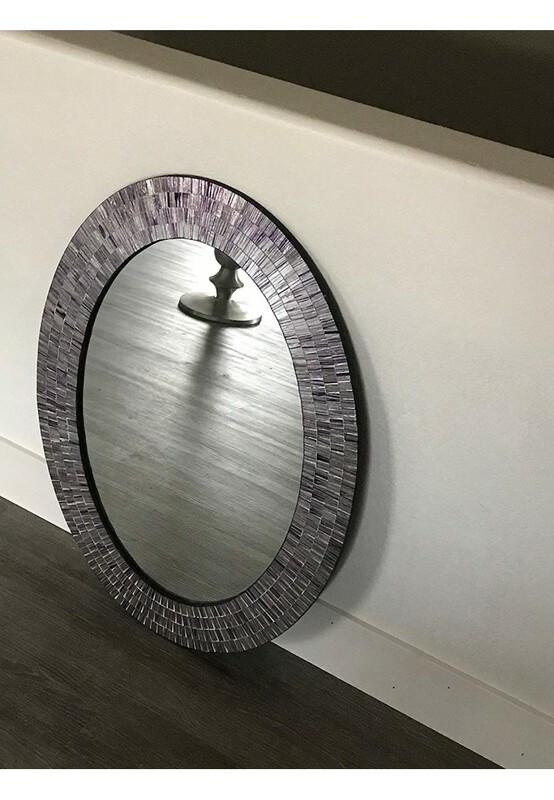 Purple colored stripes and shiny silver metallics shimmer in naturally sunlit rooms to display more than just a reflection - our Purple Rain Bohemian Rhapsody Mirrors reflect pure, stylish perfection in interior design and decorating. When choosing this item, keep in mind lighting and placement. The surface is very reflective. If your lighting is warm or cool toned, the mirror tends to absorb the hues. Likewise, if you place the mirror across from a wall with color, or natural light source, the mosaic frame will reflect the color or light. Eclectic, Southwestern, Bohemian, Chic, Scandinavian & Transitional Decor Accent - Clean using microfiber cloth and glass cleaner.